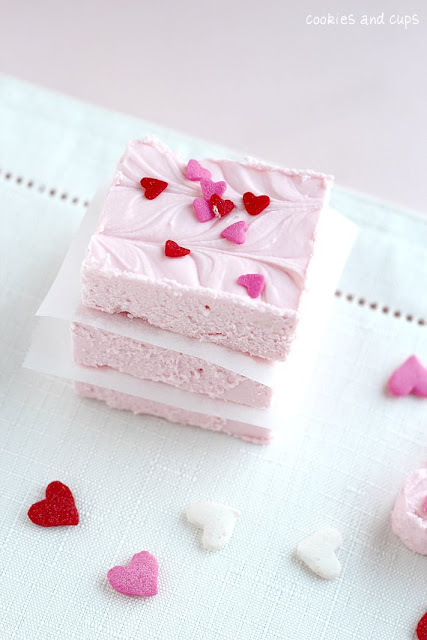 If you signed up to take a Valentine's treat to school, work or Sunday School, this would be a fun, easy option. Thanks to Cookies & Cups for the great idea! Prepare a 9x9 pan by spray lightly with cooking spray. In the microwave, melt your white chocolate chips. Spread in your prepared pan and place in fridge to set for 30 minutes. Cut into squares to serve. 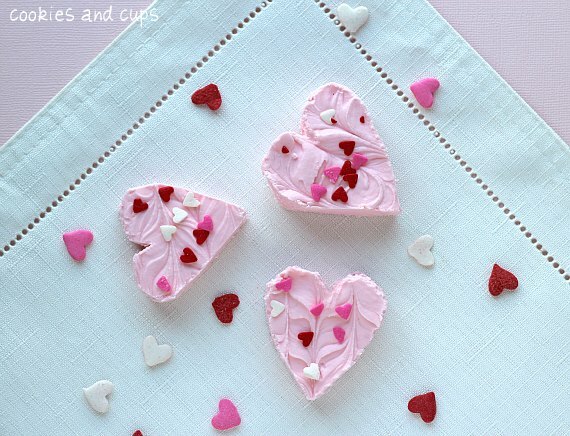 Or use a cookie cutter to make fun shapes like hearts!